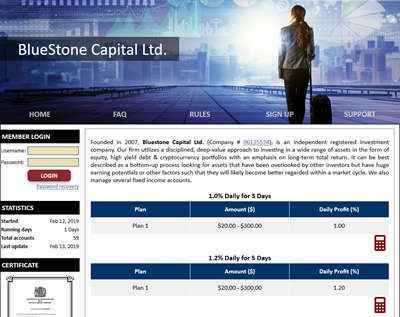 Founded in 2007, Bluestone Capital Ltd. (Company # 06135534), is an independent registered investment company. Our firm utilizes a disciplined, deep-value approach to investing in a wide range of assets in the form of equity, high yield debt & cryptocurrency portfolios with an emphasis on long-term total return. It can be best described as a bottom-up process looking for assets that have been overlooked by other investors but have huge earning potentials or other factors such that they will likely become better regarded within a market cycle. We also manage several fixed income accounts.